Everyday I try to learn something. Recently I've learned, or have been reminded, that I have limitations. There's only so much I'm capable of doing. If I try doing anything beyond that point it requires outside help to accomplish the task at hand. The help required may be from another person, an internet source, or most of the time God himself. Today I was reminded that I'm not as smart as I'd like to be. 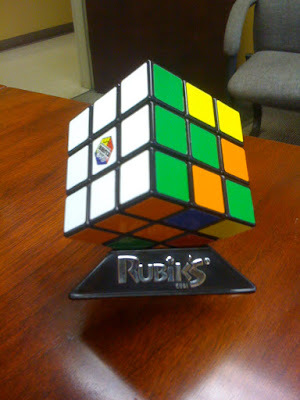 As you can see, this is a properly completed Rubix cube, or is it? I spent a little while today messing with this while talking with customers on the phone. I quickly learned that my spatial aptitude and intelligence is enough that I'm able to finish two complete levels of this puzzle, but not the third. I was so happy when I had all but the bottom level completed, then I realized, as I tried to complete the bottom level, I was only messing up the work I'd already done on the first two. Did you know there was a cartoon in the 80's called "Rubix, the Amazing Cube". Even more trivial, do you know who sang the theme song. Menudo. That's right. 80's Spanish boy band, Menudo. Featuring little Ricky Martin. Sadly, I didn't Google that. I just knew it. 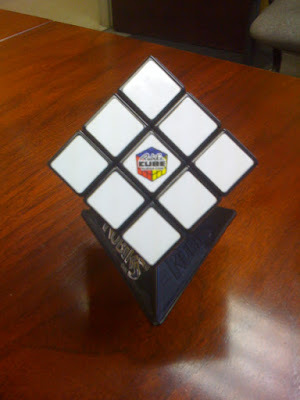 So take that Mr. Rubix! So what if I can't solve your little toy puzzle. At least I remember your cartoon and it's theme. Oh wait, that's not so good either. It's no secret that I love gadgets. Cell Phones, computers, even gadgets as simple as some office supplies have been known to make me smile. Well, that fondness for interesting gadgets has never gone away. In fact, it's gotten worse over time. 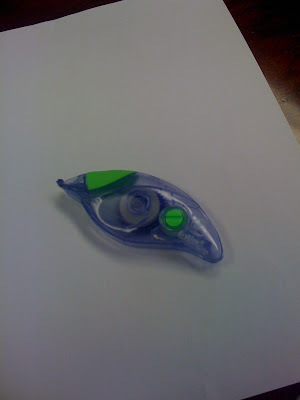 Today I'll share with you two office gadgets that I'm rather fond of right now. 1.) 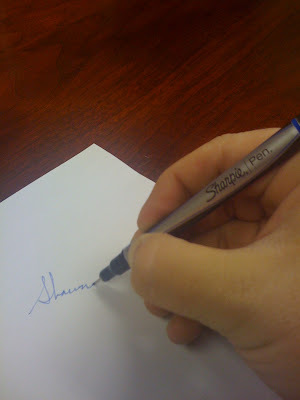 The new Sharpie Pen. Why do I like it? Fine point, dark print, no smear, and it will write on just about any surface. I've chosen the blue ink version because it helps the writing stand out on the page better. 2.) The Liquid Paper DryLine. I know this has been around for years, but I just discovered it a few months ago. I went to the person who orders office supplies at work and asked for some lquid paper. She laughed at me when I said I wanted the old gloopy brush/bottle kind. She showed me this beauty and I've loved it ever since. So now when I make a mistake with my awesome blue ink Sharpie pen, I can quickly cover it up with a nice clean strip of liquid paper. What gadgets/office supplies are you loving right now? I haven't done this in a while, so I thought it might be time for another movie review. And since I've seen 2 movies recently that I enjoyed, I'll mention them both. I've been working on rearranging my home office for a couple months now. So every night after the kids and the wife go to bed (9pm), I usually retreat to my office, put a movie in the dvd player, and work on organizing all my stuff while watching the movie of the day. 1.) The Kingdom: Starring Jamie Fox, Jennifer Garner, Jason Bateman, and many other character actors you'll recognize. It's a story of an FBI investigative squad who travel to Saudi Arabia to investigate a bombing attack on Americans citizens. I've had this on my DVR for months and had put off watching it becuase I never really felt in the right mood to watch a war movie. (That's what I thought it was originally) Wow, was I wrong. It's so much more. I highly recommend that you see this movie. The movie does a great job making you care about the characters and the action scenes towards the end are very well done. The only negative I have to say about this movie is that is takes a while to really get going. But once it does, you'll see that the beginning was all building up to something. It is rated R for violence and language, so consider yourself warned. But if you want to see a good movie. I encourage you to rent this one. 2.) Last House On The Left - I blogged a few weeks ago about how I was giving up horror movies. Well I take all that back. This movie was great. All I knew about this one going in was that it was about a family who's faced with dealing with a group of intruders after they've attacked their daughter. I also knew that this was a remake of a Wes Craven movie, so it had be be watchable. I don't want to give anything away about the movie. I'll just say this... I'm not sure who's more scary, an intruder in your home or the father of a daughter who you've attacked. Again rated R. Much violence and language. I'll close this review with a lesson that ths film and many others have taught me. : Apparently, if you've going to have a fight in the house, at some point you have to move the fight into the kitchen. There are many more weapons in there than in any other room in the house. OK...I may or may not have also watched the Matthew Perry / Zac Efron remake of 17 Again. If I did watch it, and I'm not saying I did. It might have been much better than I might have expected it to be. Have you seen anything good recently? It's hard to believe that summer's already over. Moms are on facebook getting sappy about there little ones heading off to school, college students are using their status updates to talk about how difficult their new classes are. My life has changed a little as well. Ethan started school this year, so now at some point in my day I get to have a conversation with him that usually begins with me asking "So how was school?" "Not good. We didn't get to go on the playground today. It was too wet from the rain." I'm glad he's figured out what the important part of every day is. Each week I try to blog about our Sunday Service. I include this post in the blog over at Fred McKinnon's site. There you can see lots of worship leaders talk about their services. All 4 verses with key change. No tags between verses. V, C, V, C, Key Change, C.
When I planned the service, I did it this way thinking that the opening choir song would be an upbeat way to get everyone awake and involved in the worship. Unfortunately, something was up with the sound mix and the choir was difficult to hear. From there the service got just slower. I'm afraid I danced on that fine line between worshipful and sleepy today, and I fell on the wrong side of it a time or two. The service was a little more old school than our normal. We had a good mix of songs, but the two 80's choruses didn't help pick up the pace of the service any. Overall a good service, but I think I should have incorporated more celebration or upbeat songs. I am looking forward to tonight though. Normally our Sunday nights are traditional Baptist formation: 3 hymns and a "special". We started having an entire rhythm section on the 3rd Sunday night of each month, so tonight I think we'll have some fun. I’ve said it before. I’ll say it again. I love being a dad. One of the things I love most about it is watching by sons learn new stuff. I love the thrill of helping them learn how to do a bunch of manly stuff: fix cars, do yardwork, etc. One of those manly things that I’ve been working on recently is trying to teach Gavin ( 3 years old) how to spit. Yes. That’s right. I’m teaching him how to spit. While this may not seem like an important skill to you, I can attest that it is. If you didn’t know how to spit, how would you eat watermelons (the seeded kind)? How would you eat sunflower seeds? And most importantly, if you didn’t know how to spit, how would you brush your teeth? That’s what we’re working on right now. How to properly brush his teeth. When you’re brushing a toddler’s teeth, there’s special kid toothpaste that can be swallowed without causing any sickness or trauma. Unfortunately “big boy” toothpaste is a little more powerful and shouldn’t be swallowed. So as a parent, it’s your job to help you child properly brush their teeth and spit out the toothpaste. A few nights ago I experimented with Gavin and “big boy” toothpaste for the first time. 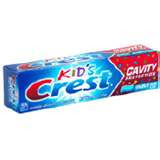 The toothpaste he’d been using was tasty but didn’t have any of the tingle or burn that adult toothpastes do. So I thought I’d go ahead and see if he could handle something without a cartoon character on it. Begin @ m12, play rest as written. C, V, C, C.
As Written until end @ m29 / V, C, V, C, C, no Tag. I was pretty happy with the flow of the service today. It was a little old school. The newest song was Paul Baloche's "Offering". But it flowed well. We did a very southern version of "Since Jesus Came Into My Heart". I even hammed it up a lot on the formatas during the chorus. Imagine Bugs Bunny holding his hand up for way too long when directing the opera singer. There were a couple of those moments. Was that worshipful? Maybe not. But the song was very "celebratory" (Is that a word?) so I did it just for fun. I have no problem doing goofy stuff like that from time to time if it helps people laugh, loosen up, and maybe be more open to expression other emotions during the worship. We transitioned from that to "Offering" which went really well. I started the service not sure what to say to help make this transition, but I guess God did it for me, because as we ended "Since Jesus..." we were laughing, and I was reminded about the joy God gives us. I was reminded that owe God everything, including our offering of praise. That led right into the next song. Finally I've got to say something about the choir song. I know a lot of churches who no longer utilize a choir and maybe have never even considered having an orchestra. Today was one of those days that I was especially glad we did have them. Hearing the choir, horns, and tympani drums on "Cindy Berry's "At The Name Of Jesus" was awesome musically and it led me to worship. I was especially glad when I turned from directing the choir and saw many of our church members on their feet giving praise to God. I'm so thankful to be a part of what God is doing here. Here's the list of what we did in our service Sunday. I've decided to post it this week in the same format I give it to our musicians. Maybe it will shed a little light on what goes into planning a typical service. By the songs you'll see a couple of notes. Then I'll have some performance notes in italics below. You'll notice we do a lot out of the BH (Baptist Hymnal). We bought the newest version last year and I've been very pleased with the amount of new songs and new arrangements of traditional hymns. I've included some additional notes below the list. 1, 2, and last verses with tag. I felt good about Sunday's service. As always the place lit up when we did Days Of Elijah. While on paper, it looks a little hymn heavy, these were almost all newer arrangements, and it flowed very well. We introduced "Not To Us" for the first time on a Sunday morning. We omitted the bridge that makes reference to the "universe spinning" and "children dancing, dancing, dancing". I'm just not sure that we (I) can sing it with a straight face. Unfortunately, due to my cluttered lifestyle, it happens way too often. Usually when I lose something I know I’ll find it again soon. Whatever it is that I’ve lost, I usually find it buried somewhere in the trunk of my car, in the cushions of my recliner, or somewhere in the piles of junk on my home office desk. Sadly, that has not been the case with the item I’ve recently misplaced. 2 months ago. I lost my keys. I know what you’re thinking. “That’s’ crazy! How does someone lose their keys?” It was actually pretty easy (and stupid). I made the mistake of taking my car key off of my keyring. It would take me too long to explain why I did such a stupid thing. So instead I’ll just say I left my car at home, with my car key in it and I took the others with me to church. On Monday when I went to work. I got in my car and remembered that I only had my car key. Hmmm? Where had I put my keyring with my other keys? I had no idea, so I went for weeks and weeks looking everywhere I had been hoping to find my keyring. But alas, no luck. 5.) A penny that I drilled a hole in 15 yeas ago while working for ROHN industries. 7.) And the biggest loss… The clicker to my car. The keys were all easily replaceable although the loss of the church keys has stressed out some “security committee” members. The flash drive, will be missed as well, but I’d already moved on to other methods of portable storage. I’m gonna miss that penny because I would look at it from time to time and notice that the hole getting bigger and Lincoln’s face was slowly wearing down. But the clicker! Wow, that’s expensive to replace. It was already cracked, and didn’t work all of the time, but knowing that I’m going to have to replace it now. That really stinks. 2 things have happened in recent days though that have brought a smile to my face. First I think I’ve remembered where I put them. When we left church that morning I remember loading Gavin into his car seat in Kristi’s car and placing my keyring on her car’s roof. As I buckled him in I rememeber thinking “Shawn, don’t forget your keys.” But strangely, I don’t remember actually grabbing them off the roof. I think that is the most likely scenario. They are probably somewhere along the road within 100 yards of my church. I’m smiling about that because I’ve realized I could have easily lost my car key too if it had been on there. Second, I’m now smiling because of my new key ring. 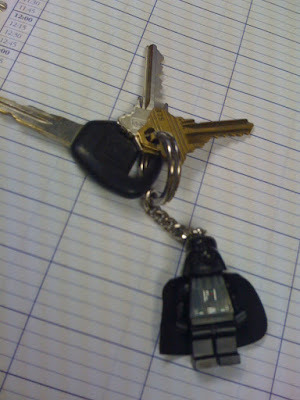 A Lego store opened in the Riverchase Galleria this weekend and while my boys were looking around I found this piece of Darth-lego-awesomeness on a keychain.